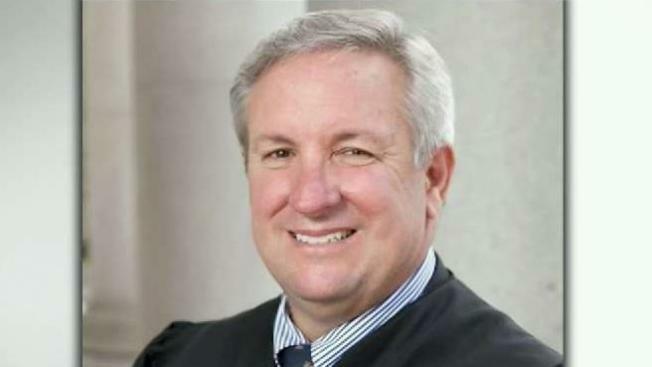 A Contra Costa Superior Court judge is facing nine charges of judicial misconduct, including sexual harassment of women lawyers and improper treatment of defendants, a state commission announced Wednesday. Bob Redell reports. Four of the charges accuse Laettner of engaging in "unwelcome, undignified, discourteous, and offensive" conduct that would "reasonably be perceived as sexual harassment" toward about a dozen women, including six deputy public defenders, a prosecutor, a court reporter and defendants between 2007 and 2018. Laettner is accused of telling a deputy public defender in court in 2016 that "Sometimes having you in here is like having a teenage daughter - you argue all the time," and at another hearing, winking at her and then calling her up to the bench to ask whether she saw the wink. In a disagreement during a private conversation the next year, he allegedly told the attorney that her parents didn't "spank" her enough. The judge is accused of frequently publicly commenting on the appearances of two other defenders, asking intrusive questions about the ancestry and upbringing of a part-Japanese defender, telling a court reporter she was "hot," and commenting on two female defendants' tattoos. The commission also charged Laettner with revoking two defendants' bail or own-recognizance release without a hearing, failing to disclose in a timely way that his son was working for the District Attorney's Office, and offering defendants who pleaded guilty a 25 percent reduction in their sentences and fines in order to clear a backlog of cases in 2017. Laettner's lawyer in the proceeding, James Murphy of San Francisco, was not immediately available for comment. Laettner was appointed to the court in 2006 by Gov. Arnold Schwarzenegger. Laettner previously worked as a private lawyer, as a deputy Tulare County district attorney and as the chief of the Northern California U.S. attorney's Oakland office.